Gifford Lorenz was my first friend outside of my family when I was maybe 7 years old. In my mind, he was wayyyyyyyy across town. In reality, it was probably a mile and a half. But I felt safe there. I liked going over his house. He was a good friend with good parents. Looking back, my parents felt safe with Giff and his folks. At some point in life, we have to come out of our shells and mix with the world. For a “people-person,” the more the merrier. For introverts, the shell feels extremely comfortable, thank you. Either way, it’s still a parent’s responsibility to keep a close eye on the relationships that their kids are building. 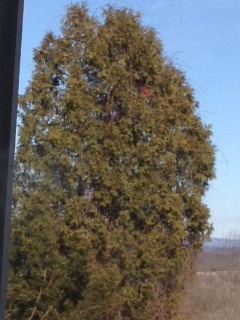 There is peer pressure and the birds-of-a-feather syndrome. Positive peer pressure works. Unfortunately, misery-loves-company runs right alongside of every group. Wounded children. They find comfort in others’ pain and they often hang out together, for better or worse. Usually, it’s not for the better. This is how we explain the gauths, teen pregnancies, addictions, gangs and a lot in between. Regarding gangs, we now have video records of unbelievable collective street behavior that probably stems from potent, bottled up anger that explodes like a toxic mix in a chemistry lab. Understanding this, how should parents and their young navigate things like grade schools, high schools and going away to college? Parents have many strategies. Strap the kid into that seat until he is in the first chair in the orchestra. Make him dribble a basketball as soon as he stops dribbling in his height chair. Get them into a Drama Club and you might even get a few laughs yourself. The general philosophy is that we line up our children with the children of parents who are our social, economical and academic peers; those mommies and daddies who tend to think like us. As parents, we often choose what their friends’ parents choose: schools, ball fields, clubs and colleges if they make it that far. However, we don’t always know the deepest convictions, preferences, morals and integrity of ALL of these parents, some of whom may end up being the mom or dad of our kids’ close friends. Whatever strategy is taken, most children will end up in a crowd – even if it’s a crowd of one other person. When our kids are young, no parent ever considers leaving a child with a questionable babysitter. But as the kid grows, there is a propensity to let them choose their own friends. Sometimes this works. Sometimes they come back with drugs in their back pockets or babies in their tummies. You may not want to hire a private investigator to look into the backgrounds of your children’s prospective friends and their respective parents. However, if vigilance isn’t maintained, a good kid can become a bad kid pretty quickly. On the other hand, good friends and their parents and extended families can make for an enriched extended community. Picnics, religious services, sports programs, recitals, birthday parties, shared vacations, graduations and eventually wedding bells may all be part of the rewards of proactive parenting. In our era, there is a default to calling something “controlling” that is actually “wisdom.” Being a smart parent doesn’t make you nosey and overbearing. Who your kids hang out with now may be the ones they hang out with for the rest of their lives, figuratively or literally speaking. That doesn’t bode well if those same buddies end up serving 5-15. If this sounds scary, it is. Don’t ever put a negative in a title or so the saying goes. Inspired by lawsuits, the film centers around a Christian college freshman who ends up debating his atheistic philosophy professor over the existence of God right in the classroom. While that plot may be as unbelievable to many as much as God is to an atheist, let us continue. Although the movie either intentionally or unintentionally portrays non-Christians in caricature, it does a great job of squarely staying on topic and so I forgive the overdone stereotypes and vilified straw men. What I find more fascinating than the controversy that arises over such caricaturization is the fact that it is now considered courageous to defend God. Non-believers can say that many Christians and people of faith make it hard to believe that God is good. I can buy that. I’ve screwed up enough as a professing Christian. Guilty as charged. 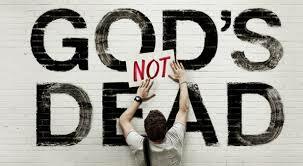 But what I can’t understand is how the topic of the existence of God became such an engaging, popular theme. 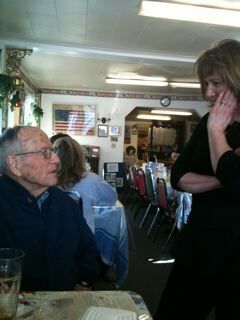 Being in a part of the health field that services senior citizens, I’ve cared for thousands of older folks in my life. I don’t think I could count on both hands how many atheistic seniors I’ve met in almost 30 years. 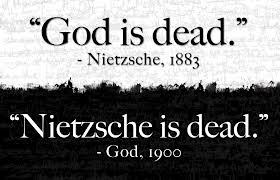 So how did atheism get so popular in just five decades or so that we now have to explain that the rumors of God’s death are so greatly exaggerated? With such candor abounding, Townshend’s “My Generation” outlawed God. They became their own god and made their own rules. A lot of those rules might not have killed God, but they sure did in half of Townshend’s band who became “The Who’s Who” of Rock ‘N Roll Overdoses. And they had plenty of company. Most monotheists point more specifically to the atheistic college professors who influenced a generation or two of students. Oh, so that’s where this movie’s plot came from! God was resurrected. Ah, go see it. If it didn’t kill God, it won’t kill you. 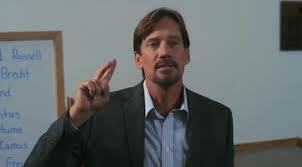 BELOW: HEADLINES REPORTED GOD’S DEATH BUT LISTED NO LOCATION FOR HIS FUNERAL; NICHT NIETZSCHE; ACTOR KEVIN SORBO PORTRAYS ATHEISTIC PROFESSOR; “GOD’S NOT DEAD” PROMO POSTER. 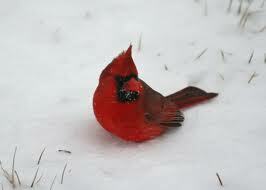 I glanced out back and just saw a pair of mighty bright red male cardinals fly over the white snow. That imagery provides a synopsis of the gospel in the blink of an eye. Why are our we drawn to such contrast? In fact, why the contrast at all? I wasn’t looking for a message from heaven. It’s the metaphor-du-jour. You don’t have to be a stop-and-smell-the-roses type of person to realize that God loves metaphor and symbolism. That part of His quill never runs dry. It’s as if He’s writing a love letter and He can’t seem to stop Himself. Some would argue that He never mails them. Well, He does. Just check your mailbox. There is a problem, however. Sometimes, a wicked enemy visits our mailbox and tries to steal or counterfeit these love letters. Worse yet, sometimes we don’t guard or mailboxes or take the necessary precautions to keep this devious one away. There’s a war over our senses and sensibilities. Hearts have a propensity to get hard if we don’t watch it. We take some hits. We read about or see real wars on television which have always been there and always will be as long as there are strong and gifted men and women who refuse to open their mail. Today, and every day, we will face the choice to read The Daily News or The Good News. I don’t know the content of your edition. But as a former editor, I can tell you that “all the news that’s fit to print” isn’t always on the front page and even if you’re just skimming the paper, you’re going to see some cardinals, dogs and kids. Metaphor-Du-Jour is a copyrighted song. Reset. Second Chance. Sleep on it. Brand spankin’ new. Call it what you will. Even to the not-a-morning person (yawn), the rising of the sun provides one of the most hopeful metaphors in all of creation. The exceptions would be those whose relationships are perfect and have never had any physical or emotional struggles and who have never had financial concerns about the past, present or future, aren’t concerned about death and don’t care about the latest Hitler-type (they are always lurking about). Those folks need not read on. For the rest of us, I continue about sunrises. I have a friend who is older. He likes everything new. He won’t buy anything used anymore. That’s a great luxury. When it comes to relationships or money or careers or whatever, new is nice but it’s not always for sale. That’s why I like sunrises. Whether you notice them or not (yawn, again), if you live to 80, you are supplied with 29,200 sunrises. That tells me a lot about God’s heart. He is so inclined to give us a second chance…over and over again. When we were kids playing the sport-du-jour, arguments would lead to a “do-over.” But can you imagine racking up almost 30,000 do-overs? So many talk about that sunset in the Garden of Eden when Adam and Eve disobeyed and darkness fell on their souls. But how many look to the “new Jerusalem, coming down out of heaven from God, PREPARED as a bride adorned for her husband”? (Revelation 21:2) He’s not only in the forgiving mode, He’s dressing up the place like the greatest birthday party a five year-old could dream about. For those who dismiss biblical proof, perhaps some evidence of a different sort is necessary. If you’ve been even the most nominally observing person, you’ve had brushes with someone who has been gracious, was willing to forgive, overlooked a debt, insisted on picking up the restaurant tab or simply looked the other way on your behalf at his or her expense. And if you’ll be honest, you’ve broken some law(s) at one time or another and you are reading this outside of a jail. If you’re into nature, springtime beckons even the hardhearted to put down their sword of defensiveness or bitterness or unbelief. The evidence demands a verdict. When you watch the sun come up, look in a mirror and you will see that your face gets yellow and bright. That’s the ultimate face-lift. 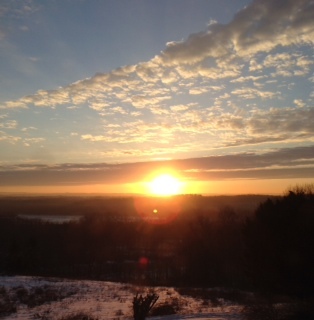 However many sunrises we get, the lifting of that yellow ball in the sky doesn’t just represent another pretty face. 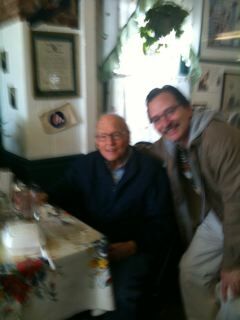 While passing the birthday on March’s calendar of my adopted dad, I realized how much I missed taking Royal A. Cutler, Jr. to his annual birthday breakfast. This time around, it would have been the 96th marking of his birth. The brief backstory to our treks is very simple. Thirty years ago, I asked him if he would help me study The Old Testament. I had tried repeatedly and unsuccessfully to understand it. He agreed. We met weekly and the rest is history. He became my spiritual father, leading me through how scripture plays out in life. Recently, I was asked to resurrect my newspaper column, “Retiring Retirement,” subtitled “Seniors Finishing Strong.” It’s about senior citizens who make a difference in their golden years. In the past, I had tended to focus on intriguing stories about older folks who were doing something out of the ordinary: the 75 year-old who outlifted the forty-somethings at the gym, the centenarian who wore masks and sang at her nursing home, the crusty journalist Andy Rooney who tapped that typewriter well into his 90’s and my cousin who still ran circles around everyone in her volunteer work at her church. These made for great columns and I felt they might inspire my readers. Well, they ended up inspiring me as much or more. So, when I was contemplating my first column, I got to thinking about seniors who were accomplishing great feats. And then it dawned on me, as humbling as it was, that I was one of Royal’s great feats. While I make no representation that I was Royal’s only post-retirement achievement, I must make the argument at just how remarkable a “case” I happened to be. I had become fatherless just before meeting Royal and that was quite a void. But that was only partially true. I was really fatherless to some extent all of my life. 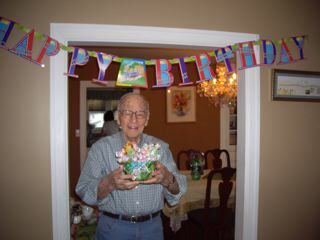 My dad was a great man and a great father whose love and devotion to me were irrefutable. But, alas, with seven hungry mouths and living in an entirely different era, Dad had a lot of other things on his mind beside me. Like so many other fathers, he had no idea of who his child was and what dreams this boy would need to follow. In my childhood, it was sports. As I recall, he didn’t attend a game. He didn’t know enough to encourage me, no less teach me how to perfect my curveball or, in general, how to compete. That job fell to my brother. Even in practical manly things from home repairs to hunting, I became the man who didn’t know how to fix a faucet and I was a plumber’s son. As I got older, I loved politics. He had no clue. Much later, I would fall for my ultimate love: God and my articulation of Him through writing. Again, not a clue. I became terribly lost, searching for my manhood the way an addict looks for his next fix. Some people rescue kittens, dogs and racoons. Royal rescued me. He didn’t search me out. I scratched at his back door. He invited me into his heart and there I stayed. So, I decided that while others may write about guys with skyscraper accomplishments, my first resurrected column is about a guy who took a decent amount of his “retirement” to resurrect one little dwelling. I noticed that You were getting me up right at 4:15 for a few mornings in a row and I was wondering about it, even felt guilty about going back to sleep. So, I finally obeyed yesterday and today, only to realize You were doing it just to get me ready for daylight savings time. Spring ahead. Speaking of “Spring” and being ahead, I took a walk around my house very early in the morning the other day and the temperature was 3 degrees. Yet, as soon as I walked outside my door, I heard a bird chirping so loudly that he sounded like he was doing it to spite Ole Man Winter as if to tell him, “I’m going to sing and I’ll still be here when you are gone.” The next day, it warmed up. I have to pay attention to those signs that portend. I will show you the way, sometimes it will be ahead of time like the preceding and sometimes it will just be grabbing your hand and telling you to follow Me. But, either way, I AM with you always.